Lisa Yue (with Jessia Macaskill (WK)) won the Women’s Doubles. James Harter (with Mark Page (WK)) runners-up in the Men’s Doubles. Lisa Yue & Sean Hanson runners-up in the Mixed Doubles. 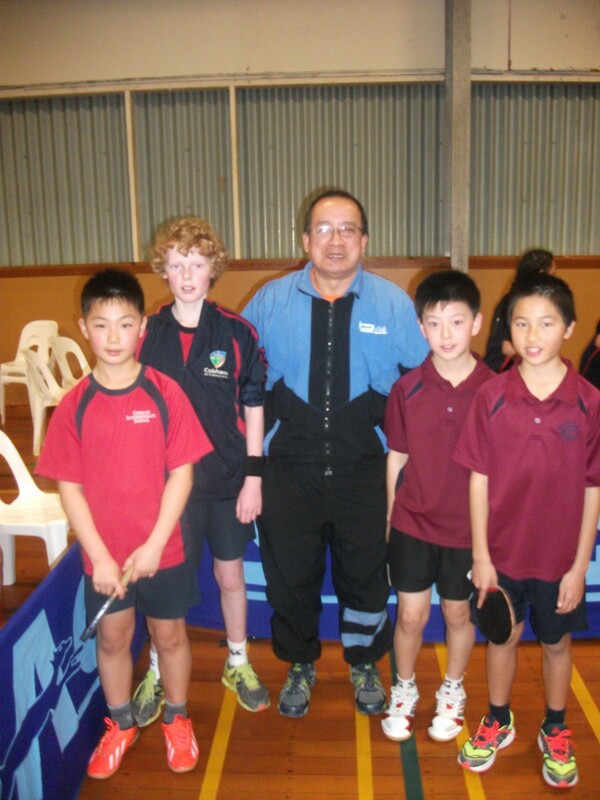 Yau Yang Low and Depak Patel won B Grade Combined Doubles. Subhash Batra won the Over 50 Singles. Subhash Batra (with Janice Kent (HB)) won the Over 50 doubles. Subhash Batra won & Depak Patel was runner up in the Over 40 Singles. Yufeng Wang won the Under 11 Combined Singles. Mei Mun Teh was runner-up in the Under 13 Girls’ Singles. Emma Hanson was runner-up in the Under 18 Girls’ Singles. Toshiaki Yasuda was runner-up in the Under 18 Boys’ Singles. James Harter (with Mark Page (WK)) won the Under 30s doubles. The full results are listed here. Tony Rutledge, Malcolm Wong and Tomos Christie travelled to this tournament which was held at the Simcox Stadium (Blenheim). Only 3 players came from Christchurch as the closure of the Kaikoura road meant a 6 hour trip to Blenheim instead of 4 hours previously. On Saturday there were 20 Men and 7 Women players. On Sunday there were 24 Boys and 5 Girls in the junior events. Results of Wellington players who reached finals are listed below. A tournament report was also published in the Marlborough Express. Paul Op den Buysch (Nelson) won the Over 40 Men’s Singles against Tony Rutledge 3-2 (12-14 11-6 11-6 10-12 11-9). Paul had big leads in every game but had problems in finishing off Tony. Last years winner Mark Nalder (Nelson) lost in the first round to Alistair Naysmith (Nelson) who is an ex-Titan player. Derek Partridge (Canterbury) and Paul Op den Buysch won the Over 40 Men’s Doubles against Tony Rutledge and Warren Haszard (Marlborough) 3-1 (11-9 9-11 11-3 11-9). Derek Partridge and Warren Haszard won the Over 50 Doubles against Malcolm Wong and Mark Nalder 3-1 (8-11 11-8 11-6 11-6). Tony Rutledge retained the Over 60 Singles Title by beating Mark Nalder 3-1 (3-11 11-8 11-6 14-12). Both the semi finals went to 5 games. Tony Rutledge beat Alistair Naysmith 3-2 (11-7 13-15 8-11 11-3 11-4) and Mark Nalder beat Malcolm Wong 3-2 (12-10 11-8 10-12 11-13 11-3). Malcolm Wong and Mark Nalder won the Over 60 Doubles against Tony Rutledge and Peter Welsh (Marlborough) 3-2 (10-12 11-8 6-11 12-10 11-6). Tomos Christie was runner up in the Under 13 Singles to Rory Osborne (Marlborough) 3-2 (5-11 12-10 10-12 11-7 14-12) and won the Under 15 Singles against the same opponent 3-1 (11-9 11-9 8-11 11-6). Thanks to Chris Hood, Debbie Stratford and Daryl Jones from the Marlborough Association who ensured the tournament ran efficiently. 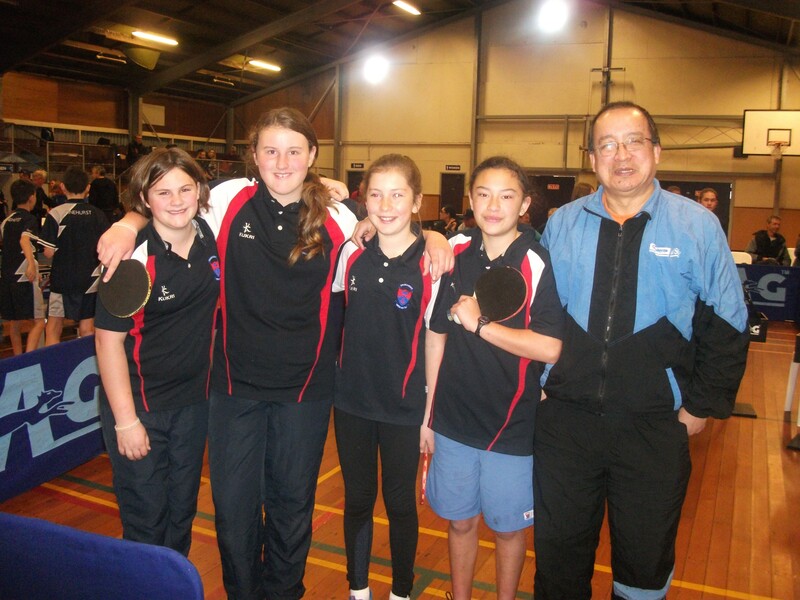 Malcolm Wong and Martin Young travelled to this tournament held at the Edgar Centre in Dunedin. 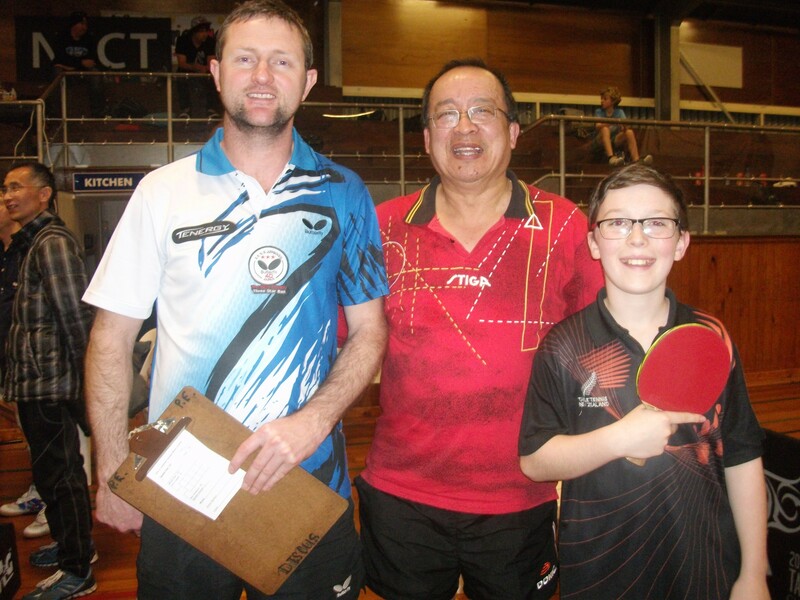 Martin Young reached the final of the C Grade Singles won by Jay Zhu (Canterbury) 3-2 (7-11 15-13 11-9 6-11 11-6). The result may well have been different if Martin had managed to win the second game where he lead 10-8. Martin also reached the semi finals of the Over 50 Men’s Singles won by John Fogarty (Otago) 3-0. Martin recorded good wins over Dave Samson and Steve Craw (both Canterbury) in earlier rounds. Malcolm Wong and Martin Young were runner up in the Over 50 Men’s Doubles won by John Fogarty and Willie Brock (Otago) 3-1 (4-11 11-6 11-7 11-6). They were also runner up in the C Grade Doubles won by Jay Zhu and Hong Zhong (Canterbury) 3-0 (11-9 11-5 13-11). The following travel report is from Malcolm Wong.